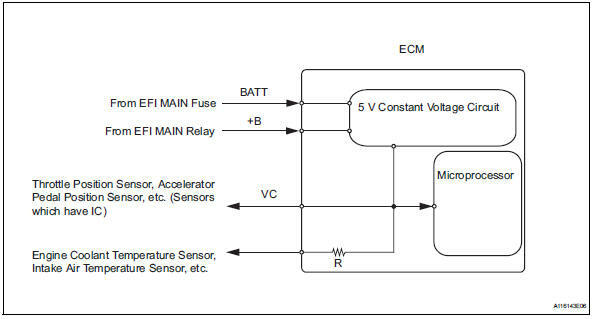 The ecm constantly generates 5 v power from the battery voltages supplied to the +b (batt) terminal to operate the microprocessor. 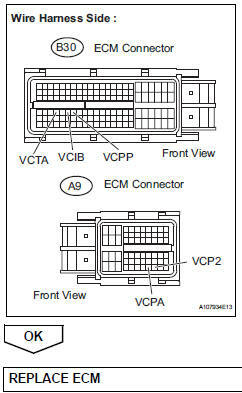 The ecm also provides this power to the sensors through the vc output circuit. Under normal conditions, the mil is illuminated for several seconds when the ignition switch is first turned on. The mil goes off when the engine is started. Check that the malfunction indicator lamp (mil) lights up when turning the ignition switch on. Turn the ignition switch on and tester on. 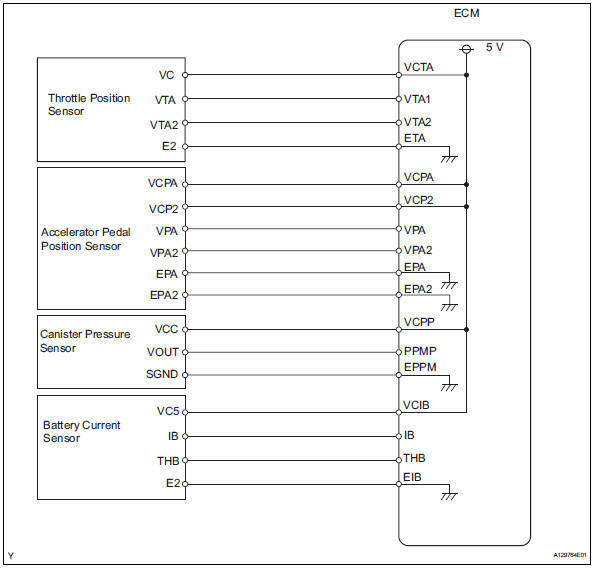 Check the communication between the tester and ecm. 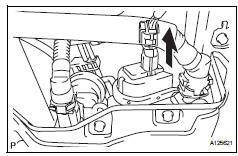 Disconnect the a4 accelerator pedal position sensor connector. Reconnect the accelerator pedal position sensor connector. Disconnect the s3 canister pump module connector. Reconnect the canister pump module connector. Disconnect the b29 battery current sensor connector. Reconnect the battery current sensor connector.